Ecozone 3 in 1 Kitchen Cleaner banishes grease and dirt to leave your kitchen surfaces spotless and sparkling. This award winning formula removes tough stains and is suitable for all surfaces including cleaning microwaves, ovens and hobs. The Kitchen Cleaner is also free from additives and harsh chemicals, with a pleasant orange fragrance which will leave your kitchen smelling lovely. 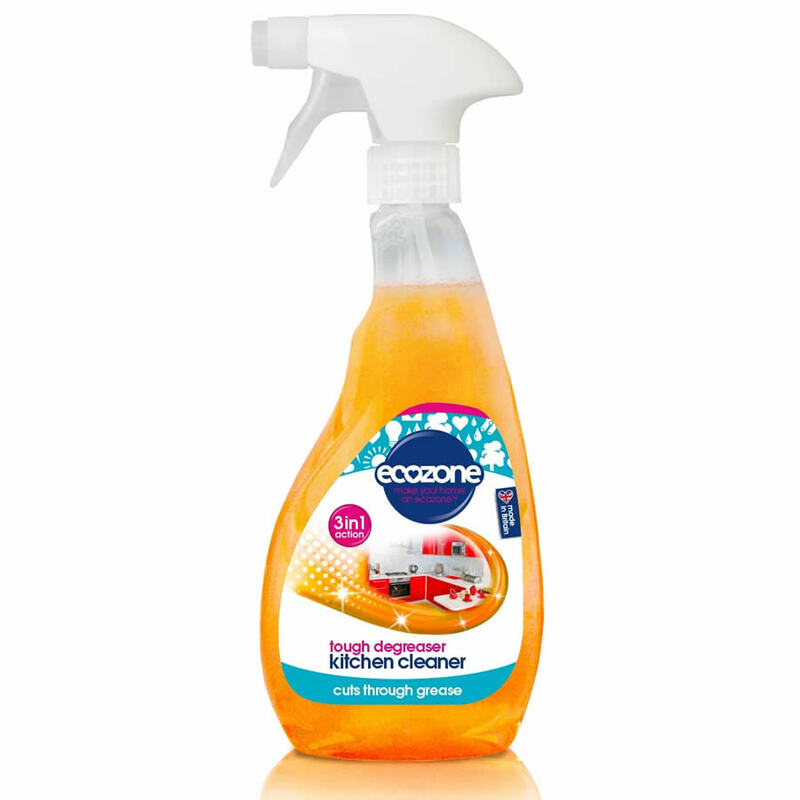 There are currently no questions to display about Ecozone 3 in 1 Kitchen Cleaner and Degreaser.